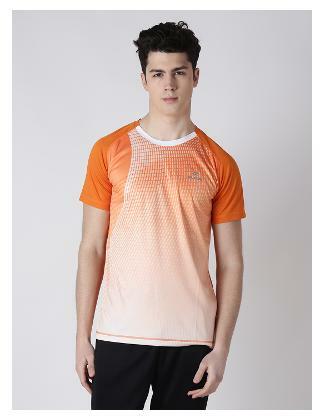 Look smart and exhude radiance in this sleek looking t-shirt from Alcis. This simple orange t-shirt is vivid even when silent. Comfortable polyester t-shirt that looks so serene with a bermuda. This t-shirt is very fashion forward. Appear on track with the latest trends in this t-shirt and a style icon.